Material Health is a hot topic in commercial design, as the recent increase in third-party labels, assessments, and certifications indicate. How will trends and practices focused on material health shape residential design, if at all? IceStone is hosting this KBtribechat. 1. Do your clients raise health concerns regarding material choices? What are they? 2. What are some misconceptions in the design community about material impact on human health? 3.What are your go-to sources for sustainable products? 4. What certifications or labels do you look for when selecting sustainable products? 5. What does the future of healthy materials look like for the kitchen and bath industry? 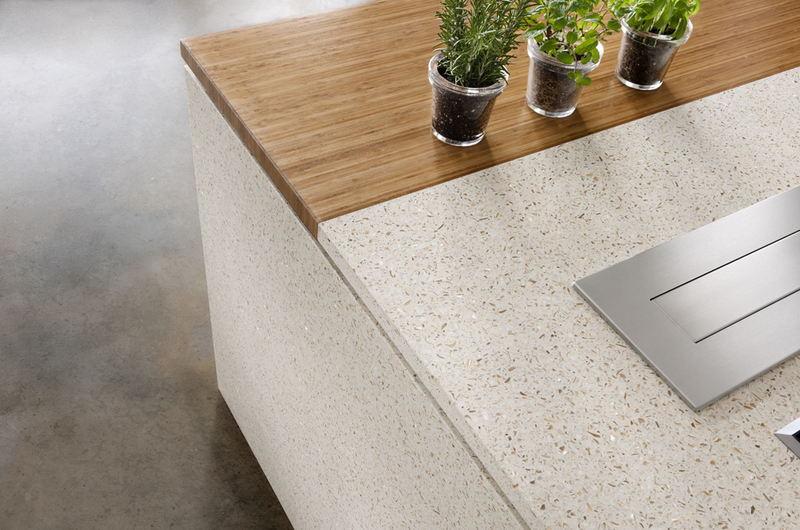 Made from recycled glass, cement, and non-toxic pigments, IceStone is a sustainable choice for kitchen countertops, bathroom vanities, cash wrap areas, and other common surface applications. IceStone is available in full, half, and vanity sizes. IceStone’s products and practices have garnered several awards and certifications, including Cradle to Cradle Certification. Every IceStone slab is crafted in Brooklyn, NY; IceStone products are available nationwide and in Canada.